So you want to get organized and, like any good student, you want to do your research so you get it just right. But where to start? 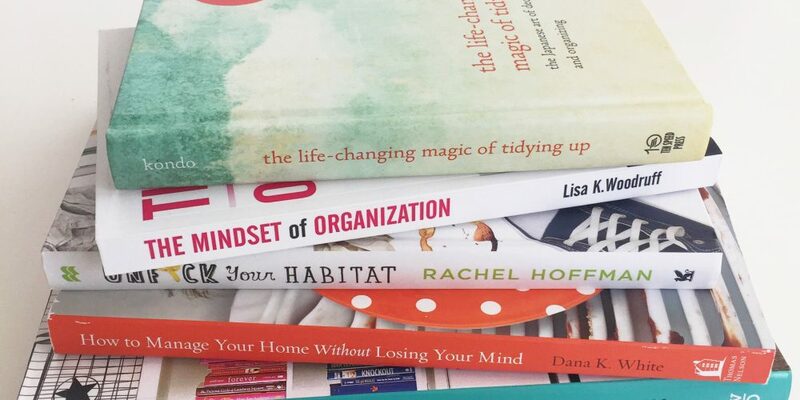 If you do a book search on organizing the choices can be overwhelming, so I’m breaking down 5 highly rated options to help guide you on your path to enlightenment. 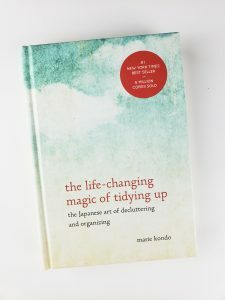 You can’t search for books on organization without coming across Marie Kondo’s book on the Japanese art of decluttering and organizing. You might know her KonMari method from the clothes file-folding graphics seen all over Pinterest. Kondo’s method is to clear your entire home of anything that does not spark joy all in one shot, rather than little by little, in order to drastically change your mind-set to become a tidy person for life. Only after you have thoroughly and completely discarded unwanted items in your home can you then set about organizing what is left. This is an easy read and follows a logical order for completing her process. 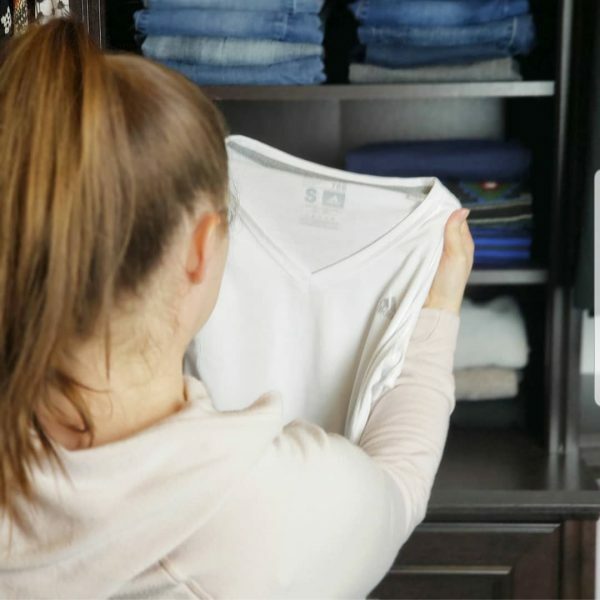 It tackles the first step to organization which most people tend to skip over – the need to purge your home of unneeded/unnecessary/unwanted items. The book is really about decluttering and not so much on organizing, so depending on what you are looking for this might be a pro or a con. For those who have a lot to discard, it may be hard to successfully do on your own. Overall I liked her method, however, I got the point about half way through the book and only finished reading for the sake of this blog post. She almost lost me when she states “if sweatpants are your everyday attire, you’ll end up looking like you belong in them, which is not very attractive”. Perhaps it’s a cultural difference or this was written before the athleisure trend, either way I’ll give her a pass. It’s definitely worth a read, though, if you want to make a dramatic change. I’m not going to lie, I picked this book because of the title. Cursing can make for a fun read (have you seen Thug Kitchen? It’s the only cookbook worth reading just for the fun of it). This book is more about cleaning your home and just diving in – anywhere with anything – to make your living spaces more habitable. If you struggle with general cleanliness and lack the ability to put literally anything away, then this book might get you started on the path to a home you can inhabit. There are even handy checklists for cleaning every room in your home. It also provides advice for all types of people, situations and stages of life. Trying to appeal to everyone results in little depth to any one particular topic. There are chapters for individuals with mental health issues, students, roommates, people needing help cleaning, people helping others clean – you get the point. It’s a jack of all trades, master of none situation. I really wanted to like this book, but couldn’t for a few reasons. While I admire that the author recognized no one method is perfect for everyone, I think someone who picks up this kind of book is wanting an opinion and a detailed method for fixing their organization woes. I was also hoping for a bit more humorous cursing, after all, that’s what made me pick it up in the first place. Dana White, the blogger behind A Slob Comes Clean, delivered everything that Unf*ck Your Habitat was missing for me. It has a clearly defined audience and focuses on cleaning up your slovenly ways with methods that worked from an actual slob – Dana herself. White astutely points out that most organization books are written by the organizationally inclined, and therefore do not work for someone like her (and her target audience). Instead, she speaks to fellow slobs to help them shake the slobvision and create specific habits to keep a clean home. Are you drowning in laundry? Is your sink constantly overflowing with dishes and the general state of your home a disaster? Then this book is for you. Not only does White define the problems her audience faces, but explains the reasons behind it. It’s rather eye opening to fully grasp why you struggle to keep a clean home and how to go about the “deslobification” process. If clutter and general cleanliness aren’t your issues, then this book is not for you. Decluttering is the farthest White gets on the path to organization. So if you’ve already conquered this arena then you want something for the next level of organization. 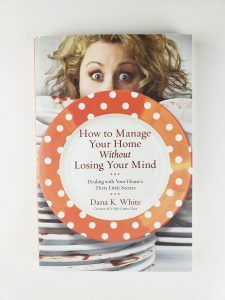 This was a great read, easy to follow, humorous, insightful and a fantastic method for changing your ways and your home. She even provides a 28 Days to Hope for Your Home guide as an appendix to get the chronically disorganized moving in the right direction. Billed as the book that will make the rest of your organization books make sense, Lisa Woodruff explains the organization journey a woman takes throughout her life. Childhood and Adolescence. This phase covers ages 7 – 21, when you learn to organize and clean your limited belongings and space. Accumulation. Between 22 and 40 women begin earning their own money, living in their own homes, getting married and having children. All of which entails accumulating stuff. Survival. This phase occurs from 40-55 when the demands on a woman’s time outside of the home increases and they generally experience tragedy. Their daily goal is to squeeze in all of the necessities while helping others as much as possible. Downsizing and Legacy. From 55 on, women are reducing their living space and tend to start making decisions about the possessions they keep based on what they want to pass on to their loved ones in the future. Woodruff provides some great tips, like the “Sunday Basket” method for managing household papers. I also appreciate how she addresses memorabilia and how to select and preserve it in each phase of life, because life should be about a collection of memories, not stuff. Mostly, though, she sheds light on how to understand your organization needs by breaking down the mindset, challenges, and goals of each life phase. You may have noticed I only referred to women above. Sorry guys, this book doesn’t offer much for you except some insight into the females in your life. This book surprised me in its direction, but in a good way. It’s unique point of view provides an additional factor to consider when trying to get organized. I will definitely be referring back to it in the future for guidance on addressing different organization clients. Toni Hammersley is another blogger-author. Blauthor? Augger? I’m still working on the name…in the meantime you can find her at A Bowl Full of Lemons where she dishes up home organizing challenges and housekeeping tips. 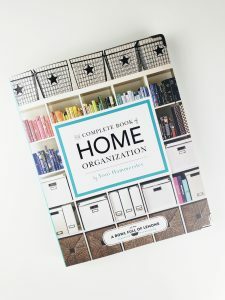 While the other books talked more about what I would consider ‘pre-organization’ – all of the steps you need to take and factors to consider before actually putting your things away in a neat and appealing manner – this book really gives you the nuts and bolts of actually organizing. Hammersley sectioned her book into three parts: Kitchen + Dining, Living + Storage, and Working + Outdoor. Within each section are specific areas or rooms in your house and the step by step on where to put everything you own and how to clean it. 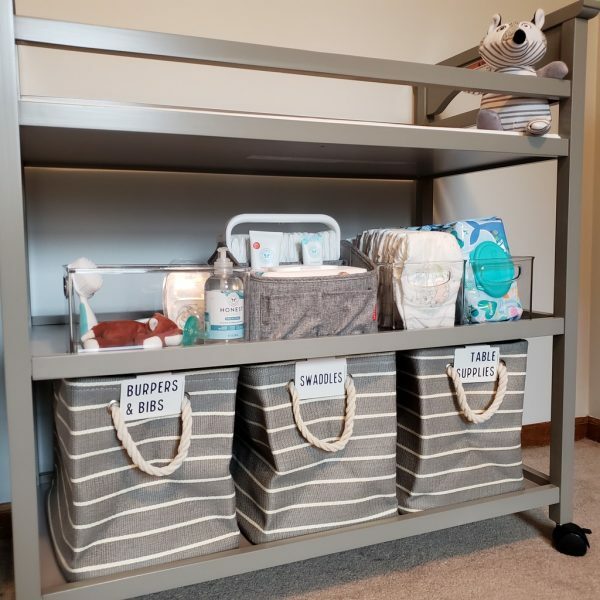 She also includes a weekly challenge per room as a methodical way to organize your home. If following her methodology you could have a completely organized home in just 15 weeks. If you are a visual person this book will automatically appeal to you. Not only are the pictures beautiful, but they showcase how to implement the organizing techniques described in the book, which is something that was lacking in all of the other books I read. This book goes a little beyond home organization and into organizing your life as a whole, which can be even more overwhelming than just getting your house in order and maybe a bit too much. It’s also not something you can read cover to cover, but should be used more as a workbook to go through one section at a time. This book is a good guide to have on hand if you want to really get the best function out of a space. If you are a real go-getter and are motivated to organize your whole house, then the weekly challenge might be right up your alley, otherwise you can skip around to the spaces you need help with the most. Having made it to the oldest category of organizers I find the subject of keepsakes the most difficult. Do you have (or did you read) suggestions such as having a conversation with those who stand to inherit. Perhaps a written log of items and why? Yes! It was recommended to make sure that someone wants what you are saving. Also, if you have memories attached to certain items make sure you share those or write it out so that information is not lost.